John McGinn has joined Aston Villa. 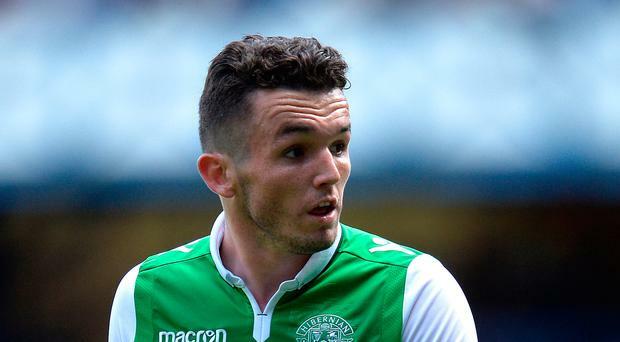 Celtic target John McGinn has completed his move to Sky Bet Championship side Aston Villa. The midfielder, 23, joined Hibs from St Mirren in 2015 and went on to play 136 times for the Hibees, scoring 18 goals. McGinn links up with Steve Bruce’s side from Hibernian he told the Aston Villa website: “I’m really pleased to have joined the club. I’ve already visited Villa Park and the training ground and the set-up is incredible. Brendan Rodgers side had two bids rejected for the midfielder earlier this summer. The Hibs midfielder had just one year remaining on his Easter Road deal after three years with the club. Hibernian Head Coach Neil Lennon told the club website: “He goes with everyone’s best wishes – he’s been absolutely superb on and off the pitch. He’s a joy to work with and I’ve really enjoyed watching him play.